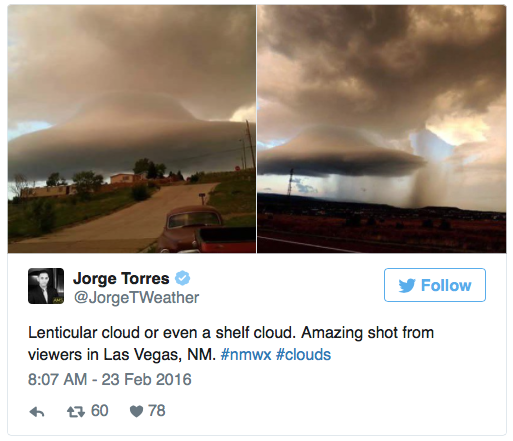 UFO SIGHTINGS DAILY: UFO Cloaked In Cloud Moves Low Over News Mexico On Feb 2016, Photos, UFO Sighting News. UFO Cloaked In Cloud Moves Low Over News Mexico On Feb 2016, Photos, UFO Sighting News. This is not Las Vegas, Nevada. Its actually the same name city, but in New Mexico. 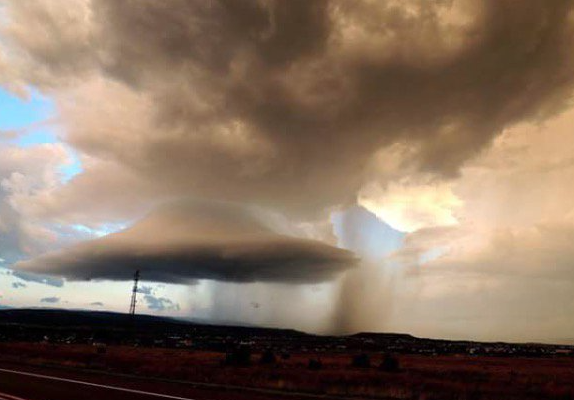 A weather reporter on Twitter shared some photos of a UFO cloaked in a cloud over New Mexico yesterday. There is only one species I heard of that acts this cocky, and thats the Tall Whites. They look just like us when they are children, but will grow taller after 400 years. Only their eyes, skin color and walk gives them away. They are known to enter Vegas, Nevada...a different city that his one above, to have some fun. They also like to play mind games with humans to show their superiority. It boosts their ego and trust me...let them win. 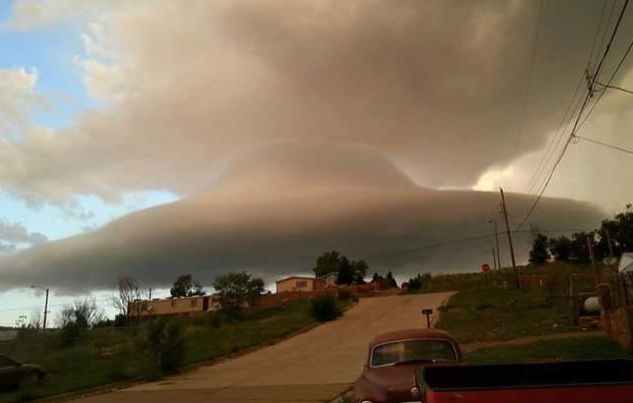 I believe this UFO is run by the Tall Whites, because few alien species have the audacity to fly so low over the ground and with such a poor cloud cloak over their ship.